Fresh out of school, with a dream to change the world, biologist Kim Reuter found herself on a plane to Equatorial Guinea; a country, according to Lonely Planet, “that is usually relegated to live under the staple in map books.” After a brief three months as a field biologist studying monkeys in the rainforest, she realized her mission there was not complete. And so, The Ladybug Project was born in the summer of 2010. In only a year, she has managed to put together a board of directors, give the project 501(c)(3) nonprofit status, put together fund-raisers, receive donations and really start to make a positive impact. 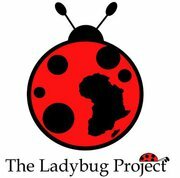 The Ladybug Project’s mission is to: “connect donations to initiatives in Equatorial Guinea and Madagascar. These projects aim to help foster educational and health infrastructure in target countries.” The Ladybug Project is also working to advance healthcare and education; from accepting donations and school supplies, to giving out scholarships to send students to universities. To learn more about the crisis in Equatorial Guinea, click here and to find out how you can help Kim and her volunteers, click here. You can contribute small donations, supplies or even better, your valuable time. They are always looking for willing participants to further their cause. Although the people in Equatorial Guinea and Madagascar weren’t previously on my radar, Kim has inspired me to get involved and make a difference. Learn more about The Ladybug Project and Kim might just inspire you as well. Tags: Equatorila Guinea, Kim Reuter, Madagascar, Moka, News, The Ladybug Project.